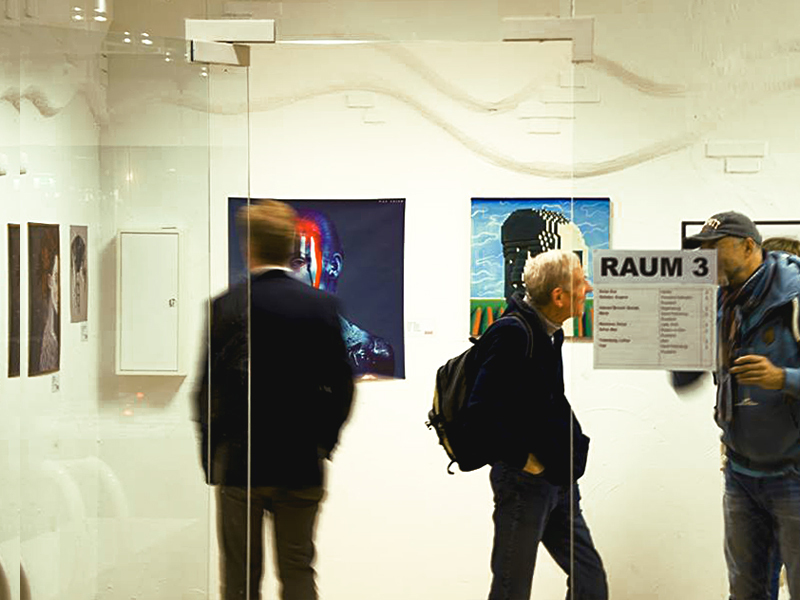 For the first time in 2008, the Marler Kunststern hosted a new major cultural event, which attracted lots of media attention due to its diversity. It has now become one of the largest interdisciplinary exhibitions of the free art scene in Germany. This year the Marler Kunststern presents the works selected from those curated by renowned experts. They will be dedicated to the specific topic called ‘Skurril’. The exhibition presents the variety of fields: painting, photography, computer & print graphics, drawing, sculpture, video, performance, installation, new media, happening, etc. Yod’s painting ‘Man’ was selected for ‘Skurril’ Marler Kunststern 2018 Exhibition.